Farmers and landowners are telling Neil Parish MP about their experiences regarding the UK's ever-increasing fly tipping and litter problem that is blighting the countryside. Mr Parish, the Chair of the Environment, Food and Rural Affairs Select Committee (EFRA) led a debate in Parliament today (17 April) on reducing fly-tipping and wants to hear farmer experiences. He kicked off the Westminster Hall Debate by stating "fly-tipping is not a victimless crime". "We've got to give people the opportunity to do things the right way," he said, which must mean longer opening hours for waste disposal sites. "Fines need to be more severe so they act as a real deterrent," Mr Parish added. Shadow Farming and Rural Affairs Minister David Drew MP said fines are too limited and reform is needed. "This is big business in the criminal underworld," Mr Drew explained. Last year there were 1 million incidents of fly-tipping in England, the equivalent of nearly 114 every hour, and at a cost to local authorities of £58 million. This represents a 7% increase from the previous year and the fourth year in a row that fly-tipping has increased. It is not only having a significant impact on farmers, but wildlife too. The RSPCA received 7,000 calls a year about litter-related incidents affecting wild animals. The Countryside Alliance explains that fly-tipping is not a victimless crime. "Government figures on fly-tipping only tell half the story as official figures on the number of incidents on private land and the associated clear up costs are patchy," the organisation said. 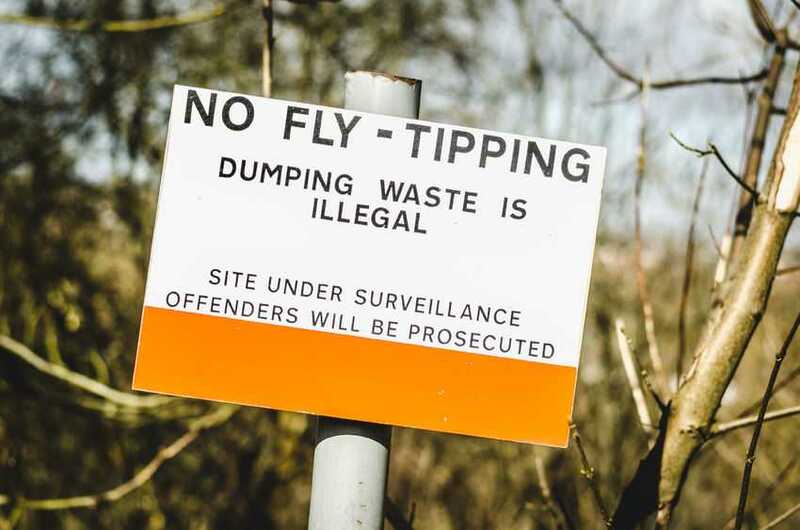 Evidence suggests that farmers and landowners spend upwards of £47 million a year clearing up fly-tipped waste, however this figure is widely accepted to be on the low side. Farmers and landowners are liable for any waste dumped on their land and are responsible for clearing it away and paying for the cost of disposal. If they don’t act, they risk prosecution for illegal storage of waste. At the moment, it is often more expensive for the victim to remove the fly-tipped waste from private land than the cost of the fixed penalty notice. The Countryside Alliance believes local authorities should fulfil their legal obligation to clamp down on fly-tipping and make it easier for people to dispose of their waste legally. "While preventative measures play a part in reducing fly-tipping it is clear that more needs to be done to bring those who perpetrate it to justice. Many local authorities find it easier to dispose of the waste rather than find the culprit, but this sends out the wrong message to fly-tippers," the Countryside Alliance said. Th NFU and CLA have also joined calls for tougher penalties and more prosecutions to act as a stronger deterrent. NFU President Minette Batters has previously said fly-tipping has become the "scourge of the countryside." The CLA has responded to a government consultation on ways to tackle crime and duty of care in the waste sector. The organisation says its members reported an 200% increase in fly-tipping on private land in just three years.